Twitter is changing the way that teachers access professional development – a trend I’ve highlighted in earlier posts already – and teachers from St Andrew’s College are helping to lead the way. Strong evidence of this is the recent #edchatnz conference which a number of our staff attended and were inspired in various ways to try new things in their teaching practice. 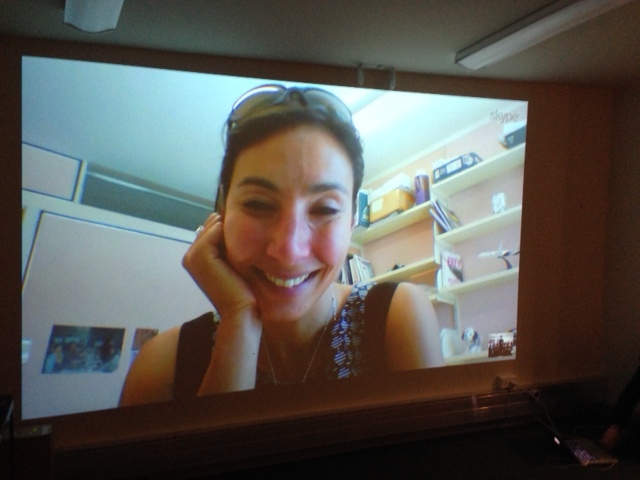 A great example was our Year 4 & 6 students skyping with Dr Michelle Dickinson a.k.a Nanogirl – a connection forged at #edchatnz conference. Another outcome from this conference is #mathschatnz and #scichatnz – two new Thursday night Twitter sessions similar to #edchatnz that promise to deliver “PD in your PJs” (the sessions run from 8:30pm to 9:30pm and beyond). What is really exciting for St Andrew’s College is that a number of our staff are helping to promote and facilitate this: Matt Nicoll Year 9 Dean, Chemistry and Science teacher (who I’ve already blogged about here and here), Ben Hilliam a Maths with Statistics teacher (who demonstrated using OneNote, Miracast and a Surface Pro so well here) and Dean McKenzie our Head of Department for Maths. It was interesting talking with Mr Hilliam and learning about the genesis of this new Twitter chat. Whilst it emerged from the aftermath of the #edchatnz conference, Danielle Myburgh (founder and moderator of the original #edchatnz twitter sessions) had already foreseen the need for a math focused chat session – #mathschatnz. Chatting with Mr Hilliam and Mr McKenzie at the conference motivated them to get it up and running and leverage the already strong community of teachers in the Canterbury Mathemathical Association (CMA). Mr McKenzie emailed all other Math Heads of Departments in Canterbury and Stephen McConnachie (who inspired this post about Wolfram Alpha) helped promote it through Twitter and the VLN Maths and Statistics ICT Community. These Twitter professional development sessions follow a similar pattern: there is a moderator who asks questions (usually prefaced by Q1 or Q2) and those involved provide their answers prefaced by the relevant question number e.g. A1 or A2. This helps sort through the flow of tweets and make sense of it all. Tweets must also contain the hashtag of #mathschatnz to “connect” the tweets into the conversation. Q3. How did you come to be on #mathschatnz tonight? Q4. What do you want to get out of #mathschatnz ? Q8. Final question of the night: what would you like the theme of future #mathschatnz to be? Given this was the first time the #mathschatnz session had run, Mr Hilliam had modest expectations of perhaps 10 people joining in, mostly from the Christchurch region where personal connections helped the promotion of the event. Pleasingly, however, around 20-30 people joined in, for at least 4 of them it was their first time ever on Twitter, and regions represented ranged from Gore in the south, to Auckland in the north. To inspire and motivate maths teachers … it’s less about the nuts and bolts of what happens in the classroom … it connects teachers to a wider network to provide ideas and encouragement … it also provides a hashtag for non-maths teachers to ask questions of maths teachers if they need help. Moving forward, it is likely that Mr Hilliam, Mr McKenzie and Mr McConnachie will rotate the moderating responsibilities. 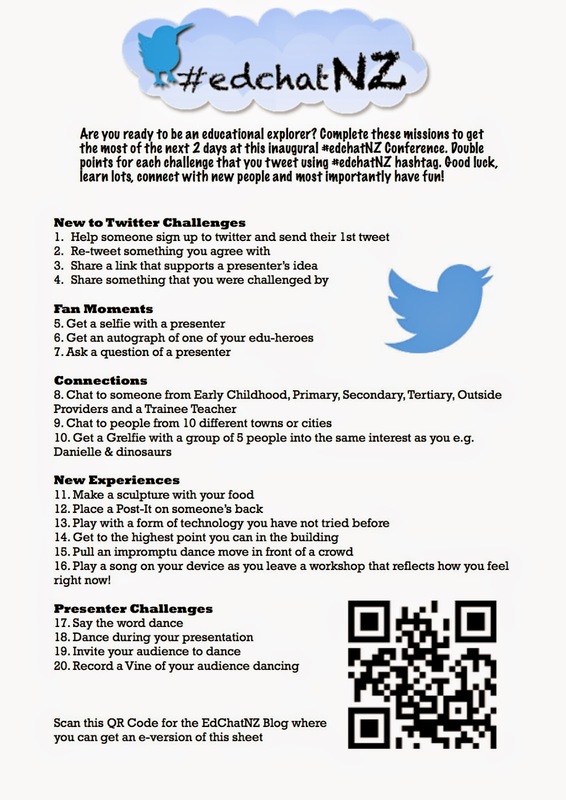 Like #mathschatnz, the motivation for the #scichatnz fortnightly twitter PD sessions came from a conference. In this case, it was the SCICON2014, a biennial event that was hosted in Dunedin this year. Mr Matt Nicoll couldn’t make it along in person but did track the highlights from the various sessions on Twitter. He picked up that another Chemistry teacher and Twitter user Rachel Chisnall first suggested the use of #scichatnz to promote a hashtag for teachers to seek help and discuss various ideas. She also hoped it might become a regular chat session similar to #edchatnz and with the help of Mr Nicoll, they established there was enough interest to progress it. Q1: What are your feelings when you recall science at school? Q2: What do you love about teaching science? Q3: What do you see as the biggest barriers to student enjoyment of science in school? Q4: How do we keep students engaged in science? Q5: Why do students (and the community) perceive science as “hard”? Q6: How does your current science teaching cater for students’ inherent passions/interests in science? Q7: Primary students seem to love science. How can secondary/specialist teachers support science education in primary schools? Q8: How do you maintain your love for science? Both #mathschatnz and #scichatnz run on the alternate Thursday night to #edchatnz (and in case you wondered, there is an #engchatnz out there for English teachers), meaning there is a wealth of opportunities for teachers to engage in free, challenging and motivating professional development on a regular basis. It is also a great way to network with other teachers in your curriculum area. From St Andrew’s College perspective, having three teachers involved in the promotion and moderation of these opportunities reflects their commitment and skill, along with respect amongst their peers in which they are held. As always, it is the students at the College that end up benefiting from this type of ongoing learning, since the ideas discussed and the inspiration received, filter back into the classroom. Collaboration. There is that word again – it’s proving to be a recurrent theme running through some of the recent blog posts I’ve written and this post epitomises the value of collaboration amongst teachers and the wider education sector. 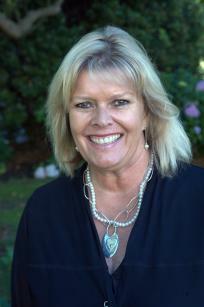 Ten staff from St Andrew’s College travelled to Auckland earlier this month for the #edchatnz conference and a popular speaker was Dr Michelle Dickinson a.k.a. “Nano Girl.” Ginny, who teachers across both the Preparatory and Secondary schools, talked to Dr Dickinson at the conference suggesting it would be great if she could connect with our students in some way. Quite independently, Mr Wilj Dekkers and Mrs Penny Munro-Foster had heard an interview on the radio with “Nano Girl” and also reached out to her with a request to Skype with our classes in Years 4 and 6. The students had demonstrated their knowledge and understanding to their parents during a Celebration of Learning Evening much like this one with the Year6 students. This concept that “science is everywhere” connected with our students and led to Ginny receiving confirmation of a chance to Skype with the Year 4 and Year 6 classes today at 11:30am. With many excited students, not to mention teachers, the Skype went ahead. Talking with Mr Dekkers and Mrs Munro-Foster after this Skype session, they both described their students as “super excited” “incredibly inspired” and “absolutely buzzing” from their chance to listen to a world class scientist working in the field of nano technology. I am personally very excited by learning stories such as this one. In this instance there are three different teachers, from different syndicates and departments across both the Preparatory School and Secondary School collaborating to connect with an external expert to bring rich, authentic and inspiring learning opportunties to our students. Obviously “Nano Girl” actually works in a cutting edge technology sector, but behind the scenes there is lots of great technology making this type of learning possible. Earlier in the year we have skyped with Vikings in York in the United Kingdom as well as connecting via Skype with an international school in Singapore through a Mystery Skype session. Today’s session builds on these earlier initiatives and highlights our teachers willingness to extend their students’ knowledge and connect with true experts in their field to inspire our learners. What could be more exciting than that? In this light, we have adopted the theme for St Andrew’s College in 2014 of Innovation and Collaboration – two qualities that are at the heart of 21st century learning. Based off the success of the session today, I am confident more teachers will look further afield to connect in this way. Dr. Michelle Dickinson of the University of Auckland also known as ‘Nano Girl’ Skyped us and answered our science questions. We all agreed that we felt both very excited and nervous at the same time. It was our first experience in a Skype classroom and we were going to talk to our science hero. We have followed her experiments, conducted our own chemistry experiments and explored electrical circuits. We were so excited that we knew about electrical currents, static electricity and chemical reactions and we could understand the conversation. Below are some extracts by 4TMF students, reflecting on their learning in a Skype classroom. Earlier this year Mr Matt Nicoll started introducing a wider group of staff at St Andrew’s College to Twitter, and how they could use this as an expanded Professional Learning Network (PLN) to support their teaching practice. As part of this, he introduced them to the fortnightly #edchatnz “teacher chat” which is sometimes referred to as “PD in your PJs” since it runs between 8:30-9:30pm on a Thursday night. 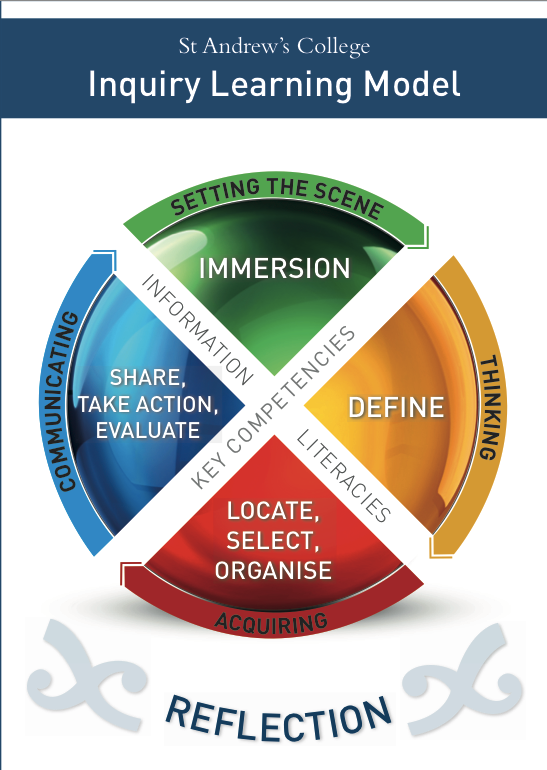 From hearing all the talk about modern learning environments it was great to see one in action [at Hobsonville Point Primary] … What we saw continually reinforced by staff and students at HPPS was the students being at the centre of the learning … Learning is visible and by visible, all stages of the planning and process are displayed as you move around the different spaces … It was interesting to talk to the students and hear them articulate where they are at in the learning process. Personalised learning in Action and lies in designing a curriculum that truly engages the learner. And of course to do that, personalisation is the key. Would your students still come to school, or to your class in they didn’t have to? The answer should be a resounding “YES” … A great two days spent with an inspiring group of educators! There are no classrooms, form-groups, timetables, bells, periods or subjects. As a teacher from a ‘traditional’ school, the question begs, how on earth does anything get learnt?! (or taught) … Yet, despite the apparent lack of structure, the year 9s were busy doing all sorts of things. The walls were covered with examples of student work … What struck me a lot within the way students self-direct themselves was the way they are encouraged to be self-aware of their goals and what they will have to do along the way to achieve them. Such a pedagogical structure places massive amount of responsibility on the individual student. This is not a fact lost on the staff at Hobsonville Point. Flipping The Classroom Or Simply Utilizing Modern Technology? Technology has been a disruptive force in education for a while now, allowing for educators in all sectors to re-examine how content is delivered to, and consumed by, students of all ages. A very popular concept is that of flipping the classroom or flipped teaching – the basic concept being students watch a pre-recorded “lesson” by the teacher in their own time for homework, and then use the class time for discussion / assistance. Usually, some form of Learning Management System such as Moodle is used to deliver this content, however sometimes it is simply a link to a YouTube clip. I find it amusing that we give some fancy jargon like “flipping the classroom” to something that is, to me, merely exploiting modern technology driven by a common sense need. He went to on to identify the quite legitimate factors that are increasingly taking students out of the classroom such as field trips, sporting and cultural activities and international exchanges. Recognising this trend, he went looking for some solutions and came across the relatively obscure Microsoft product called Community Clips. I further made NCEA examples for Senior Physics and noticed that I could really think through the key points I was trying to highlight without being under any stress. This process is not dissimilar to what Mr Hilliam does in his maths classes, although one of the key differences is Mr Barron is recording these sessions outside of the classroom, allowing him greater time for thought and clarity, as well as providing learning opportunities for the students before they come into the lesson itself. In some ways, this is not new for his students: he has always uploaded course content, handouts and links to Moodle beforehand. The difference is now these handouts are enhanced with voiceovers and key information, students can go over these as often as they like or require. From experience, it appears that the optimum length of these videos is around five minutes, as this caters for attention spans and also keeps file sizes manageable for uploading to the College Moodle site and Youtube. One of the issues is tracking use and increasing uptake. One of the mechanisms to achieve this is to write Moodle Quizzes that test the knowledge on the videos, and adds the grades straight into my mark book … a quick quiz at the start of the lesson can accomplish a similar result. This monitoring and visibility of what students are viewing online and that which they can demonstrate understanding through assessment is critical, and the combination of Moodle and Youtube videos facilitates this. Anecdotally, it appears that those students who watch key videos as “pre-reading” before classes appear to pick up the complex topics quicker and are more familiar with terms prior to the lessons. In 2013 the St Andrew’s College Pipe Band departed for the World Championships in Scotland, and won the event (see their triumphant return here). This resulted in a number of Mr Barron’s students missing the preliminary exams, and they were required to catch-up exams and internal assessments. To assist the students who had missed the teaching time whilst away in Scotland, Mr Barron “narrated aloud his thinking process” whilst marking their assessments and recorded it for them with Community Clips. Get students to bring headphones to class – they can re-watch some of the videos to reinforce learning in class if they have not grasped the concepts the first time. This allows for differentiated learning as students can be extended or supported as necessary. Use playlists within YouTube – it keeps topics of videos together and a simple hyperlink to students gives them access to all relevant videos. This can be further enhanced by using playlists for each year level of work. If a student is requesting extra tuition, an expectation can be set that they have viewed the relevant explanatory video before attending the tutorial. I hope that it becomes a “pull” [by students] rather than a “push” … it is not a silver bullet, but rather just another resource and tactic to use in an effective teaching programme. The more complex and demanding the classroom becomes, the more effective this approach can be … it puts a real emphasis on the student make the best use of the resources provided and it takes away some of the excuses. This article was published in the July Edition of the Interface Magazine and is reproduced with permission. 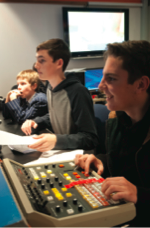 St Andrew’s College has been running the only professional television studio in a New Zealand school for almost 20 years, writes Simon Williams. Professional? Well yes, in that we use TV industry equipment and systems, it’s run by two people who have a background in the industry, and professional people look after it in a technical and production sense. Of all the classes who use it, the Year 8 and 9 students are the ones I enjoy most. They’re so full of energy, they learn fast, nothing’s impossible, and they run a show just like the pros. 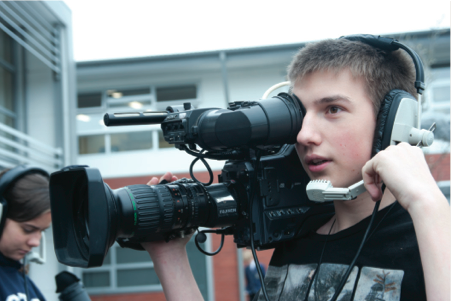 When a class of Year 9 performing arts students bounce though the door three times a week to make live television shows, they’re using the same sort of gear and systems that the industry uses. The studio has recently updated its cameras, while film classes have almost new Sony NX-Cam cameras, professional sound and lighting gear, with Adobe Premiere CS5 and CS6 to edit with. 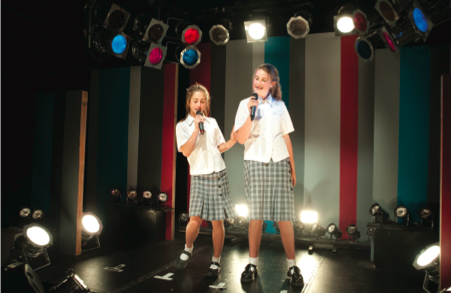 The Year 9s spend a term in the TV studio and a term in drama, just as the Year 10 performing arts students do. The younger group makes live shows that will include three or four live musical items, an interview or two, perhaps six recorded items all introduced by hosts or presenters. The shows run live – in other words without stopping. The Year 10s also make short films to run in their studio shows. The whole idea is to teach team work, leadership, discipline, problem solving, the safe and effective use of professional gear, and, of course, on-camera performance. To watch a 13-year-old director driving a show, with her or his vision switcher, sound, lighting and videotape operators, floor manager, and four camera operators, plus performers, is one of the reasons I enjoy the role. to the camera ops before the how, telling them exactly what he wanted them to do, getting them to show him, before thanking them. This boy had the crew in the palm of his hand. They wanted to do whatever he asked of them. It’s like watching the Key Competencies from the New Zealand Curriculum in action. A cover of Colbie Caillat’s song ‘Bubbly’ (fizurl.com/bubbly) shows one of the 11 items in the live unrehearsed show. Just look at the way the cameras are moving, the way the vision switcher is mixing at just the right speed, all under the command of a director who is only 13! The desire to showcase the beautiful St Andrew’s College campus and facilities was behind the initiative by Francesca Eathorne (Head of Communications / Strategic Analyst) to engage with Google Photographers to create a number of virtual tours. Their standard of work was very high, and the initial tours they had done in the Boarding Houses were excellent. We could embed the tours directly into our online platforms (as I have done in this blog post) so they were very accessible to our community. They are dynamic – the user can choose where they wish to navigate to and are not restrained by a rotating 360 degree view only – this encourages them to interact with the tour, as if they were actually walking around the campus and exploring the buildings. The ability to split the tours into different sections, rather than have one long tour you had to navigate around. This way you can easily go straight to the area or building of interest. One of the decisions Ms Eathorne had to make was whether to include students in the tours. Case studies had suggested that virtual tours should include members of the school population to make it more realistic, but in the end she decided not to as it was more in keeping with the College policy of managing student image consent. Students Lead a “Celebration of Learning” Evening – Then Quiz Their Parents! A number of our Year 6 classes have moved away from the traditional Parent-Teacher interviews towards a “Celebration of Learning Evening” which was held recently and the students grouped together to present their learning to around 90 adults who attended. The students had completed a unit on various aspects of Chinese culture, including calligraphy, fan dancing, paper cutting, cookery, lion and dragon masks, children’s games and kung fu. This was the same unit that our Year 12 students had filmed and presented in their Fusion TV Show that I blogged about earlier. The learning had taken place within the new inquiry learning framework developed by the Preparatory School for their students, and the children were excited to be presenting this learning back to their parents. The adults moved around the various displays over the course of the hour, with numerous groups seamlessly including technology into their presentations, using a range of tablet devices to show how they had collated their research into sections in their MS OneNote notebooks, along with sharing cooking clips, kung fu moves and music. The parents could also try their hand at calligraphy with different apps being used on the tablets to support this. What does the colour red mean? When were the first Chinese masks made? China is a country with up of about ___________ years of culture and history? What are the dances that are well known in China? The parent answers to a quick Socrative.com quiz created by students during a “Celebration of Learning” evening in the Preparatory School. Whilst the phrase “ubiquitousness of technology” is over used, this lesson did demonstrate that when used effectively, the technology is not at the forefront of the lesson. I see this example from the Preparatory School as reinforcing this – it was the student voice and presentations that was the true celebration of learning, the technology used merely augmented this. As the confidence of students increases and they identify a wider range of applications for technology in their learning, I anticipate more examples such as this emerging from our classrooms.